Many generations of children have enjoyed riding on or in pedal cars. Even though we have come a long way with children’s ride-on toys, the classic pedals cars and trucks are still desired. The one thing that all these models have in common is having fun. The mini vehicles are super-popular and along with their popularity have come new safety features and designs. The pedal cars on our list are designed to be safe for kids. They have been constructed from solid framed materials, painted with kid-friendly paints, and have included safety features like seat belts. The cars have come a long way in portability with many of them having lightweight designs that allow the kids to take the cars to the park or even to a friend’s house. Moving around in a pedal car is easy. It is as simple as it sounds, pedal the car. This is great for all kids. It allows children of different ages and skill levels to be able to enjoy the fun of the pedal car. The only difficult task that you may find is selecting what pedal car is perfect. We searched and found the best pedal cars for kids on the market. It is a complete guide with information about each including features, benefits, and what we like about them. The ultimate pedaling power goes kart is here. This pedal car is made up of the things that kids dream of. It is superhero themed and created with super features that made it one of the best pedal cars. It features a steel tube frame that is sturdy and durable. The wheels have a low profile design that really gives it a stylish look. Driving is easy with the adjustable seat that goes both forward and backward on a sprocket system. This superhero pedal car has been designed for the super kid that is 4 years or older. The lightweight design with the race style steering wheel and low profile tires give it a grip that is desired for all those high speed races. It has truly been designed to give all the crime fighting kids of the neighborhood the look that they desire with the features that make it possible to fight crime at a moments notice. Pedal cars have been around for many years and these days with all the new designs and cool features they really encourage kids to get out of the house and engage in physical exercise. The physical exercise tones and works all the muscles in the body along with building their stamina. Superheroes are someone that we can all look up to as kids and pretending to be one while riding a super cool pedal car is right up there with a great time. The themed pedal car is awesome for any little crime fighters in your life. You little one will be riding around in style in this pink pedal car. The pedal car has been created to look like a car from the past; the nostalgic look really gives it an old time fashion feel. It has been constructed from solid steel throughout the whole frame. Each of the details of this car brings back many memories of a time before now. With adjustable pedals, the car is able to adapt to different stages of life for kids. All of the cars are carefully created and have been painted with lead free paint. All of the tires feature rubber around the outsides and chrome middle for the hubcap. The rubber tires give the car a smooth ride and a great classic look. With a weight limit of 70 pounds, this car can accommodate children for many years. All the details, adjusting pedals, and a classic 1950s look to make this pedal car the head turner in your neighborhood. Pedaling a pedal car develops the gross motor skills. The leg movements along with also steering with the arms work the upper and lower body to move in one movement allowing them to learn how to smoothly operate a pedal device. It is also a great form of exercise for the little ones. This pretty in the pink pedal car is as sweet as the 1952s were. The look of the car seems like it was made back then but the features are more modern and offer a smoother ride. This item from the get-go engages all of the senses of a toddler. The distinctive contrasting colors of gold and navy immediately draw them in. The grill is reminiscent of the Pixar film cars with friendly anthropomorphic features that are inviting to a child. It has rugged-feel off-road tires for light gravel; a realistic gas cap that will help in future socialization. The Cozy Truck comes equipped with a working horn in the steering wheel, and usable to tailgate for storing. Unlike other models of pedal car, this Little Tikes product grows with your child enabling use for up to five years of age. It is made possible through the removable floorboard. We like that it has all of the features that a future driving experience can incorporate. It helps to socialize a child as early and possible, and the push feature brings the higher possibility for parent-child bonding situations. The go-kart has three-point steering that gives it accuracy and precision customarily reserved for motorized vehicles. This is good practice in helping your child take those sharp turns and when he eventually graduated to gas or battery-powered go-kart. The bucket seats adjust as your kid grows. It has a large racing style wheels that you might see at the Grand Prix. That, combined with the skid brakes give a smoother ride and gentle stop-start transitions. The product dimensions are 38x20x20. The quick-response steering helps to build greater coordination. The bucket seats are ergonomic with a high backrest for long stretches of activity. The skid handbrake helps to regulate speed, especially when going downhill. This is a stylish import! Its green coloring is something that makes it initially appealing. It’s a good training item to help kids in their coordination and quick-response reflexes. This is a beautiful all-metal replica of a fire truck that drives in the 1940s. In fact, it might just be a replica of a similar pedal car that was made in the era of the 40s and 50s. The detailing is authentic, with the symbols of the fire department along with the depiction of a Dalmatian dog mascot on the side of the truck. The steering wheel is chrome, as well as the functional alarm-siren bell. The side ladders are removable. It has rubber tires and chrome hubcaps that give it the impression of whitewall tires. The steering wheel is easy to handle, and the steel construction is hefty -- and, at 40 lbs, making it virtually unbreakable. The paint is lead-free, and the pedals adjust for the size of your child. This item can be purchased with any number of other firefighter accessories to aid in your child’s imaginative play scenarios. This is an item that parents, grandparents and children alike can relate to. The retro all-metal construction is a benefit since this is an item that remains in a family and is passed down. Schylling gives us this simple little red fire truck. No bells and whistles! No pun intended. Well, at least it has one bell. It has a sleek bullet design that makes it aerodynamic. It has the classic red styling, with a pure white initialed fire department logo. The steering column stands directly adjacent to the seat, with two small wooden ladders behind it. A chrome alarm bell sounds with a rope pulley. It has simple rubber tread tires that are good on hardwoods and linoleum. This is a good fire truck for kids that 18 months to two years. It doesn’t have pedals, so it’s easy to maneuver and can help with younger kids to get their bearings and balance. We enjoy its simplicity -- from the steering column to the seat. It has an all-metal frame that guarantees that it can last for years and it’s built by a company that prides itself on quality craftsmanship. Because of its solid steel construction, this hot rod can take a beating for years to come throughout your child’s early development. It’s so authentic that it even has the tapered back design of old convertible sports cars. The painted flame design gives it the extra flair of a classic automobile in the look and feel of it. The brushed finish is done with a lead-free base. The steering wheel is both functional -- turning on a dime -- and highly-attractive with a polished chrome finish. The pedals adjust for any number of sized kids depending on the age range. This can help develop a broader interest in cars and mechanics for a kid. It will at least spark some curiosity. The flame detailing on the hood engages the imagination, as your kid envisions himself burning rubber down the highway. We like that everything about this car replicates the classic hot rod experience. From the chrome hubcaps to the flame decal and the tapered chassis, we deem this to be not just fun but highly educational as well. This almost reminds you of those old cop movies and tv shows from the 1950s. It hits all the switches even down to the details of the police motto, “to serve and protect,” a cruiser number and a little make-believe chevron of a fictional police force. It has both adjustable pedals and 70 lb weight limit so that it can handle just about any sized kid you can fit into it. As with all In Step vehicles, it has a solidly constructed steel frame for durability. It has rubber tires and chrome hubcaps that have the added design of replicating whitewall tires. It’s easy to steer, and the chassis has the authentic framing of its real-life counterpart. The best part is the sturdy metal construction and the detailed painting of the design. With most plastic cars that have sticker decals, there’s a tendency for them to wear out or get broken within a year after purchase. This car has an incredible accuracy of detailing and design. We can tell that the maker did a lot of studying when it came to classic car design. They also took the time to make the motto and the symbols authentic to what an actual police force would have on its cruiser. Now if you used to think that Radio Flyer only made wagons--well, think again! This little dynamic coupe gives your kids options they never dreamed of with the old wagon style. The first option presented is one of parent-child interaction. It’s designed for the parent to give that little extra boost, literally. The second option is to adjust the handle for your child to push the car on their own. And the third option is for them to be the passenger. For the last purpose, there is a seat belt for added safety, along with imitation dials--speedometer, horn, ignition--to help them feel more in the driver’s seat. The removable footrest gives your child the ability to mobilize, and the quiet-ride tires won’t squeal or burnout. This is a toy car that can grow with your child for the first three to four years of life. As early as 1 year old, they can be safely installed in this mini car and pushed by a parent. We enjoy that it's part of a long line of classic products made by Radio Flyer. This is one example of how the company does its best to remain relevant. This is a very convenient product for both parent and child. “Go speed racer! Go speed racer!” This is the replica that every cool race car ever built has been modeled on. These speedsters were some of the first to ride in the Grand Prix at the time of their advent. So, like it or not, your child is in for an education in the history of mechanics with this one. Schylling showcases a beautiful silver bullet sleek design. The engine exhaust grill is accurately placed. It has a maximum weight capacity of 42 pounds and measuring 29 inches long, so this is more appropriate for toddlers. The car is priced just right for its design and educational value. In the future, this could quickly become a collector’s item and increase in resale value. It is low and long enough for toddlers ranging from the ages of 2 to 3. We like that it’s simple and straightforward in its construction -- no bells and whistles! It doesn’t add any unnecessary complications or more than your child can handle all at once. 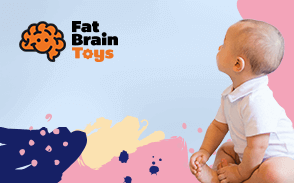 One of the primary uses of toys has been as a tool for early socialization for kids. This runs the gamut from toy houses, dolls that express leisure and professional life, action figures, toy weaponry, animals in nature and modes of transportation from buggies to airplanes. Some of the options tend to be more interactive than others. The pedal car is an interesting toy in particular that has had a somewhat quiet but dramatic evolution. The first ones came into being in the 1890s shortly after the invention of the automobile. Like the automobile itself, it was a rarity since the prevalence of horse-drawn carriages and wagons was still the dominant mode of transportation. Only the wealthy could afford an automobile–and, by extension, their children had the privilege of owning a child-sized replica. Even with cars becoming more affordable, the trend of only the wealthy gifting their children pedals cars continued. It wasn’t until the Baby Boom of the 1950s that manufacturing of pedal cars became cheaper while median family incomes rose out of post-war prosperity. The early model cars used the same manufacturing techniques as the auto industry, corrugated steel, and original rubber tires and chrome. The 1960s and ’70s saw the takeover of plastic models and the invention of the Big Wheel cycle. We’ve done our best to give you the same quality as the classic models made of steel for a lasting riding experience that can be passed down for generations. With brands like InStep, Schylling and Radio Flyer, we’ve done our best to give you old durable body design that makers of old once put into their pedal cars. In essence, they would manufacture it the same way that was done on the assembly line of any auto factory. Now, without the same amount of labor put into it, these same brands are made of corrugated steel that is guaranteed to take a good beating without much of a scratch. Instead of bolts, a new seamless welding technology has been utilized to get the same effect at a quicker turn-around rate. All of the tires on our picks are of high quality! Most are made of genuine rubber, rather than a synthetic material. The beauty of that is that it provides more traction. All of the product tires have been treated to go easy on kitchen and hardwood floors. And, with a product from a company such as In Step, the additional bonus comes in design, from the chrome hubcaps to the faux white walling to get that 1950s effect. We know how important the use of color is to keep your child’s neuro-receptors engaged. The color of each product evokes the emotion or familiar association that was intended. The flames of our hot rod definitely have some metaphorical smoke coming off them. The paint on the products are both acid- and lead-free; and, specially treated to prevent cracks, chips, or peeling. Q: Is there too young of an age to buy a pedal car for a kid? A: That all depends. The cars that are pedal-powered and adjustable are probably more suitable for kids that are 2 years old and up. This is due to the gross-motor skills and physical strength required to use the pedals. Of course, it doesn’t hurt to buy one as early as possible and allow your child to get acquainted and grow into it. There are two or three push and scooting mobility options that we chose for our list. These options help to build up to the pedal-powered cars. They also help to develop a stronger imagination and interactive skills. Q: Will the metal rust on these products? A: There is the possibility that it will rust. It is highly unlikely that this will occur for some years. We do recommend that you keep these cars out of the elements and not leave them outdoors overnight. Not only is that good in preventing the metal from rusting out, but it will also prevent the rubber of the tires from rotting as well. If possible, also make sure to treat both the tires and chassis with a treating agent. These can be purchased at your local hardware store or auto parts store. Q: Is there more benefit to a pedal car as opposed to a push car? A: Both have unique attributes and benefits to them. The difference has more to do with the age of the child who will use it. A push car is more like the training wheels version of the real thing. It is more suited to infants and toddlers just learning to walk and gain leg strength. The benefit of that is that it’s giving them a feel for being in a vehicle and getting a curbside vantage point. It’s also an excellent opportunity for interaction with parents and caretakers. The Radio Flyer push car that we’ve listed helps in making the full transition from push to pedal over the course of your child’s early development. Q: How easy is it to repair these cars if they get damaged? A: With the durability of these pedal cars, the reality of them sustaining any serious damage seems unlikely. That said, each one of the manufacturers offers both a warranty and a full refund within a specified term. We would also say to treat this product as you would a regular car. Any dings or scratches that it takes are normal and can be quickly dealt with through a trip to the Home Depot or Autozone. The inner tube tires can be replaced with no sweat, and plenty of Youtube tutorials can be found to fill in the gaps. Q: How good is the traction on these cars? A: They’re all in good condition for the sidewalk, light gravel, and hardwood or linoleum flooring. With indoor riding, you might want to be more cognizant of the effect that the tread will have on your floors with time. On some models, there are original rubber tires, and others have a rubberized hybrid material for the tires. This can make them quieter and smoother on floors. We don’t recommend them for use on lawns or dirt; the traction can be pretty dicey on these terrains. Q: Are these cars better than Big Wheels? A: That’s like the difference between apple and oranges. These pedal cars might be a better start than Big Wheels, or vice versa! It’s hard to say. But, the reality is before your child can handle a three-wheeled vehicle, they will already have some sense of motion through perambulation. Push cars and pedal cars are just continuations of what they are already familiar with. One thing that pedal cars and Big Wheels have in common is in helping your child’s coordination and leg strength. After a day of play with either, they’ll be the better for it.